It may own the phone-maker, but Google won't be giving Motorola any special treatment when it comes the new Nexus. Google's next Nexus device is still under wraps, but rumour has it that LG has been given the chance to join HTC and Samsung up at the Android prefects table. That makes Samsung the teacher's pet with two Nexuses to its name (Nexus S, Galaxy Nexus) compared to one from HTC (Nexus One) and Asus (Nexus 7) and this possible LG addition. So why not Motorola? 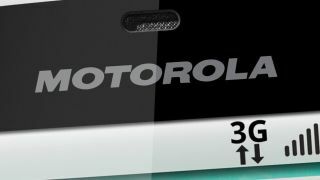 "We're operating as an independent OEM, so there's a firewall between us and the Android team," Motorola's SVP of product management, Rick Osterloh, said. "It's very important to the company that Android remain an open playing field. "We will absolutely be one of the people considered the next time Google delivers its Nexus phone… but we're not going to receive special treatment." It's quite important to Google that the other Android manufacturers believe this; when the buyout became public last year, Google's Andy Rubin strongly stated that Motorola wouldn't have any advantage in the Nexus bidding system over any other manufacturers.